It can be hard to find gifts for teens that are inexpensive. 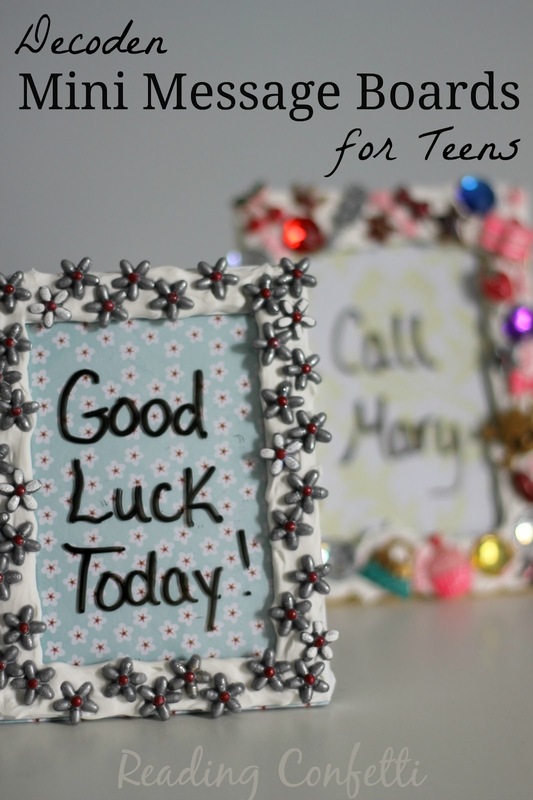 I recently made my fourteen year old stepdaughter a mini message board using Mod Podge Collage Clay and an old picture frame. It was the first time I've tried Decoden, a 3D collage technique that incorporates as many trinkets as possible. I liked it so much I ended up making two! 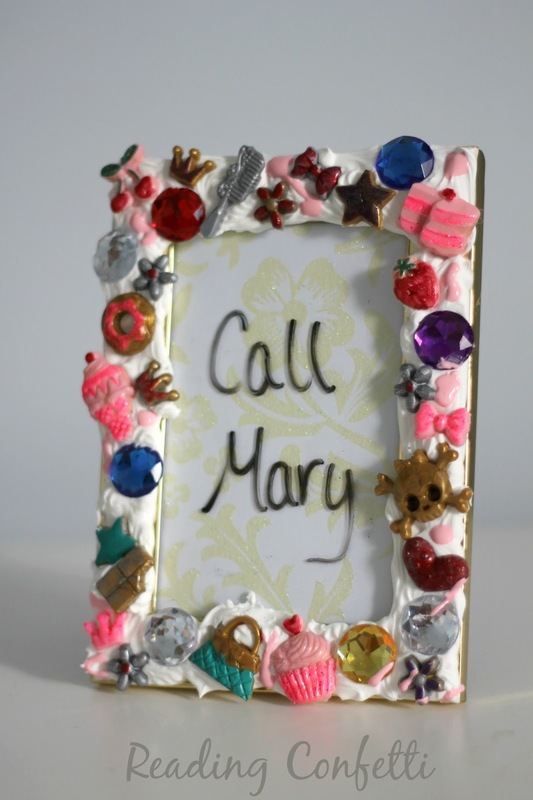 The embellishments were surprisingly easy to make using the new Mod Podge products available at Michael's. Mod Melts come in lots of different colors, including gold and silver. 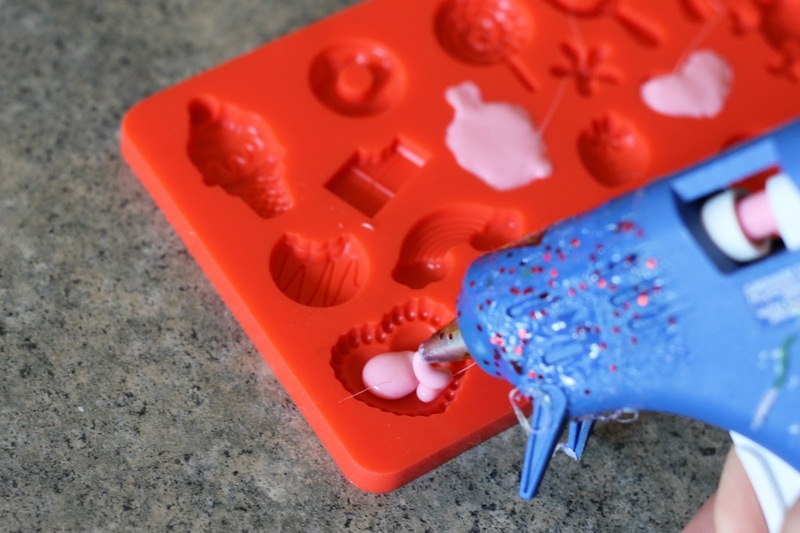 Choose your favorite and it heats in a high temp mini glue gun like a regular glue stick. Once you've filled the silicone Mod Molds let them sit for about ten minutes and they'll pop right out. I decorated our trinkets with paint, permanent markers, and glitter glue. You can also use Podgeable Glitters that are specially designed to give you the exact amount you need without waste or mess. 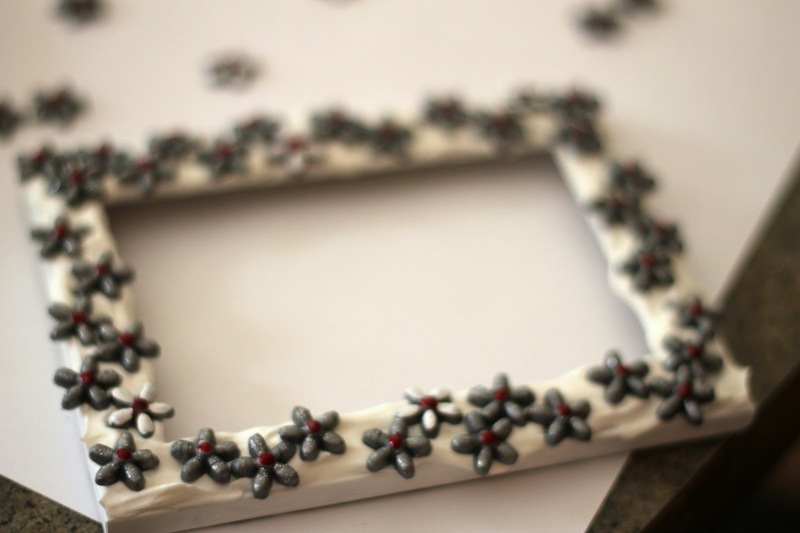 Once the paint was dry, I used Collage Clay to attach the embellishments to an old frame. It's a lightweight whipped clay that's very easy to work with. It comes in Vanilla White and Strawberry Pink. 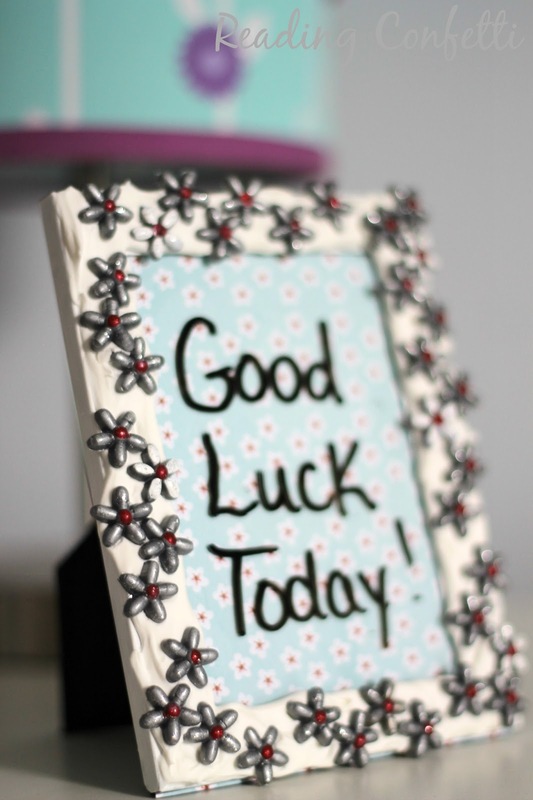 I put some scrapbook paper into the frame and used a dry erase marker to write a message on the glass. It was so easy that I made another one for my thirteen year old niece. 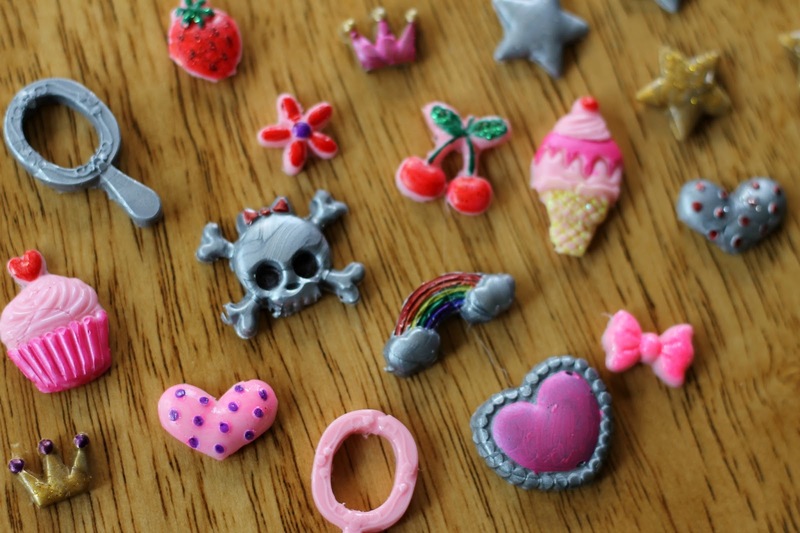 (Collage Clay is not recommended for children ages 12 and under, and the product is not edible. Small parts are a choking hazard for children.) I also added Collage Drizzle Paint and some plastic gems from the craft closet to this one. Adorable idea! We love it - great job! So neat! I love all the detail in your mod melts...I'm sure she loved her new gift.